HEllo everyone! If you are new to my blog, WELCOME. For all the regulars, today is a post on glitter polishes. I wanted to share with you the great deal I found at Big Lots. 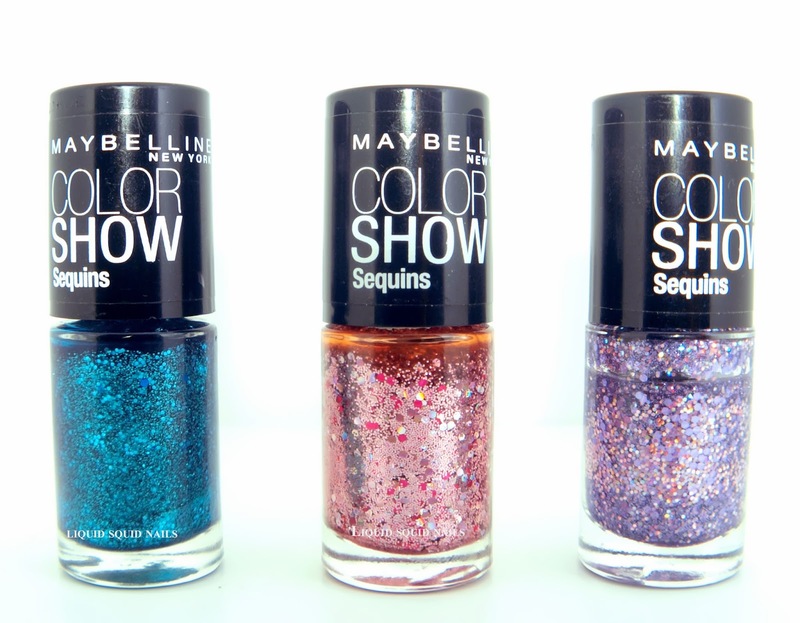 The Maybelline Color Show Sequin polishes were only $1 EACH! How could I pass up this amazing deal right?!? That was how I reasoned myself to buy them. Truth be told, i have 2 polish racks that fit 90-100 polishes each and both are COMPLETELY FULL! I told myself, "Melanie once both polish racks are full, NO MORE polishes for you." 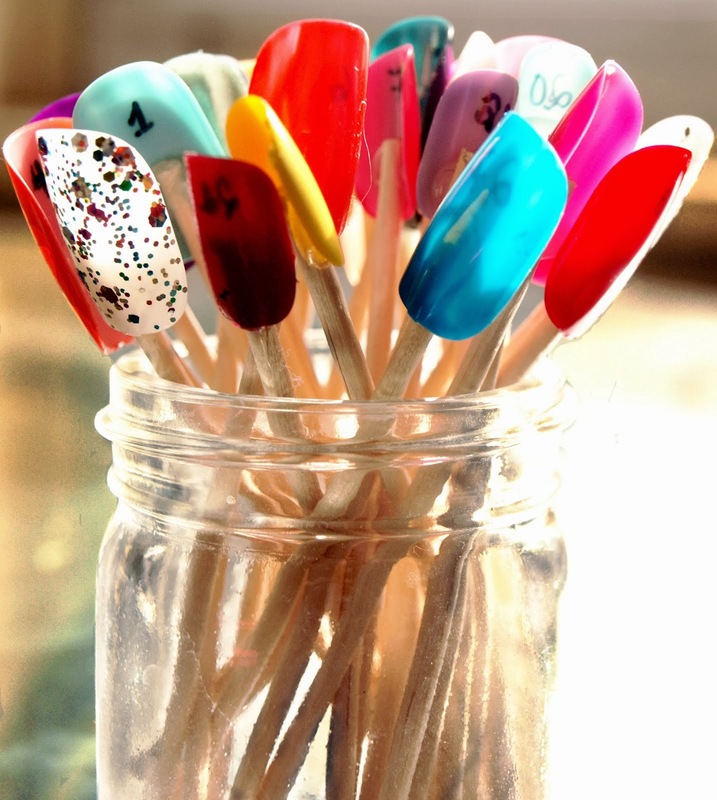 Well dear readers, I have dishonored my declaration, because I now have more polishes than I do rack space... :/ My next step is to sell those polishes that I am not too fond of so ALL my polishes can fit on both racks. From the beginning of this polish journey, to now, I told myself ORGANIZATION is key to maintaining this nail polish relationship. I have 2 polish racks, a drawer that hold my nail supplies, and a desk that i can work on while painting my nails. I am going to stick to this layout. The last thing I want, or MY HUSBAND wants, is polishes everywhere all over the house. UGH! No way. Love blogging because I can share these random blabberings with you all and you actually "listen" to me. GuSH :) Thank you for reading this. I shall get off my soapbox now. Below is a picture of 3 glitzy polishes by the Maybelline Color Show collection. If you would like some swatches, be sure to comment and I shall honor your request.